The precious metals market has been a very popular market in recent history. Unfortunately for many of the latecomers to the market, they feel as if they were shortchanged. The downturn in the market has occurred as many involved in precious metals investing as a hedge against the market have been encouraged enough by the market to jump ship and get back into traditional stocks. After all, these investors are more traders than investors. 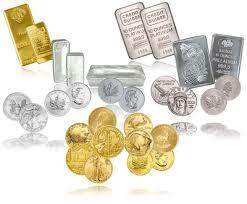 The precious metals people are involved with include gold, silver, platinum and palladium. These investments can take many forms. While most will think about investing in the bullion bars, coins and ingots first, these are just the surface of precious metals investing. There are also stocks, exchange traded funds (ETFs), certificates and stocks in mining companies. Some who are a little more leery about getting involved in this kind of investing will point at the volatility of the market. The thing to remember when looking at this kind of investment is that unlike the different stocks of the world that can depend on the economy as a whole, precious metals always maintain a value that will only go up in times of hardship. To prove this point, look at palladium and platinum. These metals always have a market value because they are used predominantly in the industrial markets of the world. They are used in making catalytic converters. While there will always be a little fluctuation in the prices for these metals, there will never be a time when these metals are in short demand or when they will be in a massive surplus. Even though gold is the standard for precious metals investing, it is important to keep in mind that gold is still a volatile metal. The main factor that affects the price for gold is the economy. When the economy is performing poorly, the value of gold will shoot through the roof. When there is political strife, the value of gold will similarly skyrocket. This is because when times are hard, people turn to mainstays they can trust to hold value. The one place in which investing in gold can be outright scary is when investing in futures. This market can lead to tremendous gains and immense losses in short periods of time. The plummeting prices for gold have been forced by the knee-jerk reactions of a few traders getting scared. The gold market may be at a low from the high point of over $1,300/ounce it was sitting at just recently, but this does not mean gold will never recover. In fact, gold is still a very good option for precious metals investing, because of the potential for it to rise again. One thing many involved in precious metals investing like to point out about gold is the prices have been in the slumps before. The difference is that the prices always make a recovery. In all cases, the recovery is able to overcome the current lows to provide a steady increase in the investment value of gold as an investment. The gold supply chain has slowed almost to a stop and the value of other precious metals is slightly more volatile. Those who get in on the deals afforded by a lower market value will ultimately be able to get a major return on their investment. It just takes a little more faith in the gold market to recover. Of course, looking at the history of precious metals investing as it pertains to gold will show this is not that big of a gamble to make.